Quality website for used cars Oakville – Budds’ BMW Oakville. 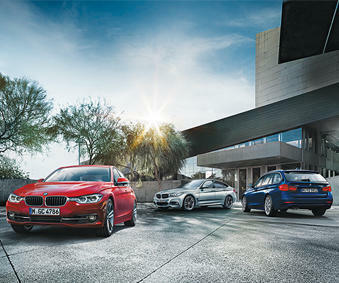 Looking for used vehicles has never been easier with Budds’ BMW Oakville. Our quality website for used cars in Oakville is one of the best in the industry, and our customers are never disappointed with the service and selection they receive with our online inventory. When people look online for vehicles, they want a website that has tons of selection, is convenient to use, and includes a plethora of information on the used vehicles they are looking at. Our quality website for used cars in Oakville includes exactly that, and our customer service extends from our Budds’ BMW Oakville dealership to our online dealership; our clients receive the highest quality customer service from the moment they log onto our website. The BMW brand is known for its premium vehicles and exceptional driving machines, and you need not compromise on the quality of our pre-owned vehicle selection. Available On Our Quality Website For Used Cars in Oakville Right Now. You can call us to make an appointment to test drive a 2013 BMW X1 xDrive28i with one of our representatives today! This premium BMW SUV will give the driver an exhilarating experience behind the wheel with its 2.0L, 4 cylinder engine and automatic transmission. At a price point of $23,790 and with only 53,163 kms on it, this vehicle is a very good option for someone looking for a budget friendly bigger vehicle that doesn’t lack power and driveability. Available in white and in all wheel drive, this BMW SUV will get you to where you need to go safely and in style. You can find out more information about this premium used vehicle by checking it out on our quality website for used cars in Oakville today! Also on our website at Budds’ BMW Oakville, you will be able to get your vehicle appraised for trade in if that is a route you are considering. We have made it very easy for our clients to get information they need in order to make an educated and thorough decision on purchasing one of our premium pre-owned driving machines. By clicking on the blue ‘appraise my trade in’ button, you will be provided with a form to fill in information about your current vehicle. Once you have filled in that information, one of our representatives will contact you back to have your vehicle appraised. Convenience for our customers is the name of our game, and we take pride in assisting our customers any way we can during their vehicle purchasing process. As far as a quality website for used cars in Oakville goes, Budds’ BMW Oakville is the cream of the crop. We provide our customers with tons of current information on our used vehicles, and they have many options for scheduling test drives, getting finance information, and getting their current vehicles appraised for trade in. if you would like to set up a test drive in a pre-owned vehicle you are interested in, please feel free to fill out the form on our website, or give us a call today.